Congress can stop the Trump administration’s drive to drill, mine, log and develop national monument lands like Bears Ears and Grand Staircase-Escalante for private profit. Urge lawmakers to stand up to keep our public lands in public hands. The Bureau of Land Management has released its preferred management plans for the ecologically sensitive, culturally vital and beautiful lands that were — until late last year — protected as part of the Bears Ears and Grand Staircase-Escalante National Monuments in Utah. Expand protection for the Bears Ears National Monument to over 1.9 million acres, directing that it be composed of the lands identified in the Bears Ears Tribal Coalition’s original proposal. Clarify that only Congress — and not the President or Executive Branch — can alter existing national monuments, effectively nullifying the administration’s proposed changes to Grand Staircase-Escalante, Bears Ears and other national monuments. We owe it to future generations and to the memories of those who came before us to safeguard these special places. Will you speak out to help turn the tide for Bears Ears and Grand Staircase-Escalante? Take an affirmative stand for our public lands! Please urge your US representative and senators to co-sponsor the ANTIQUITIES Act of 2018 (H.R. 6410, S. 2354). 2. President William Jefferson Clinton, “Proclamation 6920 – Establishment of the Grand Staircase-Escalante National Monument,” September 18, 1996. Retrieved online from the US Government Printing Office August 17, 2018. 3. Brady McCombs, “Federal agency issues proposals for downsized Utah monuments,” Associated Press, August 15, 2018. 4. 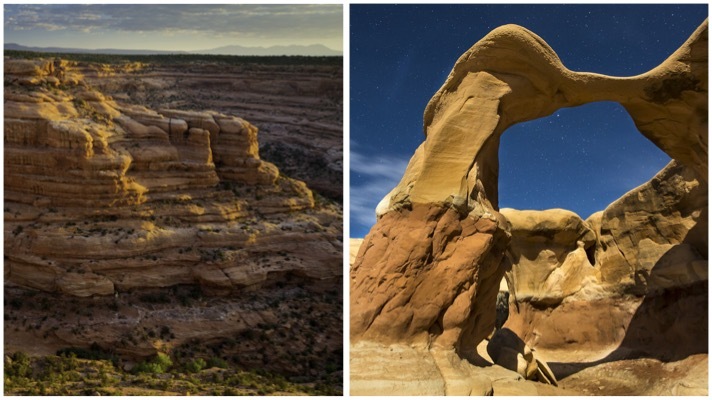 Jesse Prentice-Dunn, “Trump administration to industry: Come mine and drill our national monuments,” Westwise on Medium: Public Lands and Energy News from the Center for Western Priorities, August 15, 2018. 5. Senate Staff, “Summary of S. 2354, ‘The ANTIQUITIES Act of 2018’,” Office of US Senator Tom Udall, Retrieved online August 17, 2018. 6. Congresswoman Michelle Lujan Grisham, et al, “H.R.6410 – ANTIQUITIES Act of 2018,” Congress.gov, retrieved online August 17, 2018.